Thots here and there: Whose in charge? 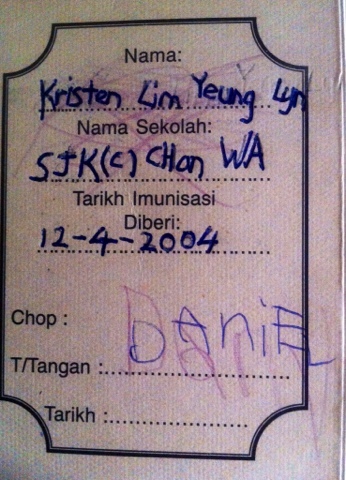 I found this immunisation card. Don't remember seeing it in the year 2004. Now I know why. The card never reached my hands. The little brother who must be about 5 signed the card on our behalf!!! !